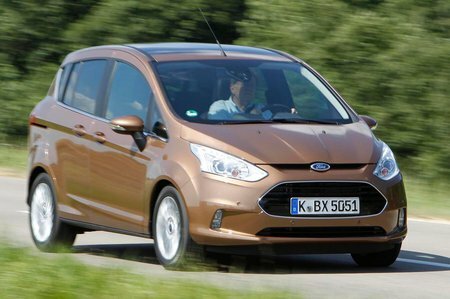 Ford B-Max Boot Space, Size, Seats | What Car? There’s plenty of space up front, with several storage areas, including a central bin between the seats, good-sized door bins, four cup holders and a compartment for your sunglasses up by the rear-view mirror. 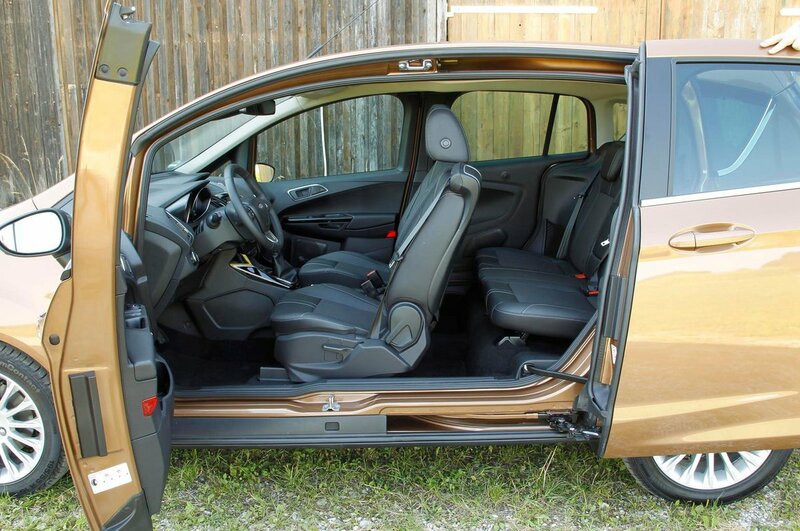 Access to the rear seats is excellent because there is no central pillar, and each rear door slides back, leaving a large unobstructed opening 1.5metres wide, which makes it much easier to get small children in and out. 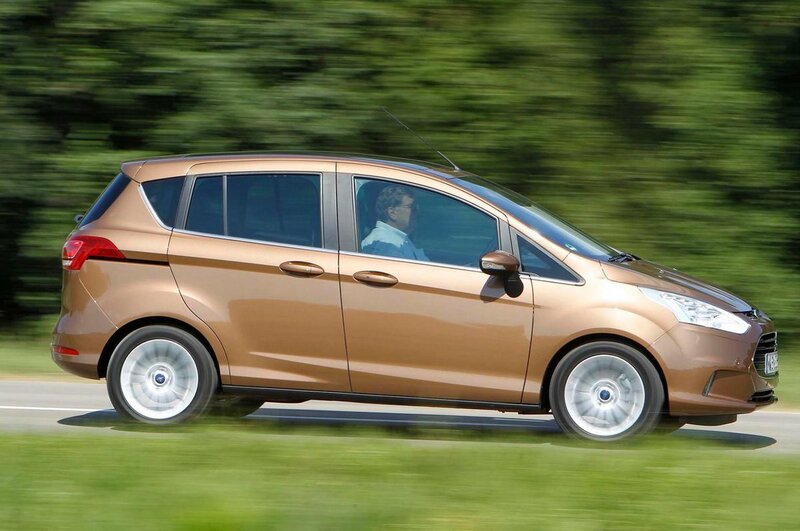 There’s also more than enough space for two adults in the back, as there’s plenty of head and leg room, and three can squeeze in for shorter journeys. Alas these rear seats don’t have the option, as some rivals do, to slide forwards or back to increase space in the boot or to add rear leg room. Overall, though, there are seven different seat-folding combinations and a 2.35m maximum load length with all the passenger seats folded down. The boot itself is a decent shape and fairly deep, and, while the lid might not be electrically powered, it is usefully lightweight and has an easy to reach grab handle. A low boot lip makes it easier to get the weekly shopping in and out while the large square opening makes it less of a chore when loading and unloading larger or more awkward items, such as a suitcase or pushchair. Usefully, the boot floor is flat and adjustable in height, meaning it can be lowered to add more depth when needed.